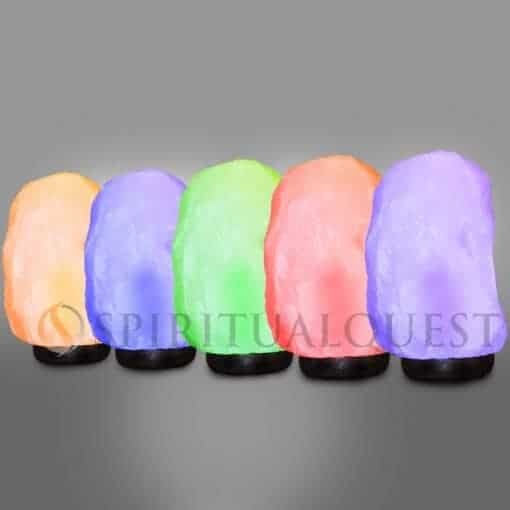 Multi Colored Salt lamp – 5 colored bulbs with one Rare White Salt Lamp. Rare white lamps are hard enough to find so we took it one step further, let’s make it festive with a multi-color pack of light bulbs. Nothing could be more festive, as we found out last year, than the rare white multi-colored lamp! The lamps are generally 8-10 inches tall and weigh in at 5-7 lbs. Live operators fast delivery makes this a can’t miss opportunity. Be the talk of the holiday party and get your multi-colored salt lamp today.